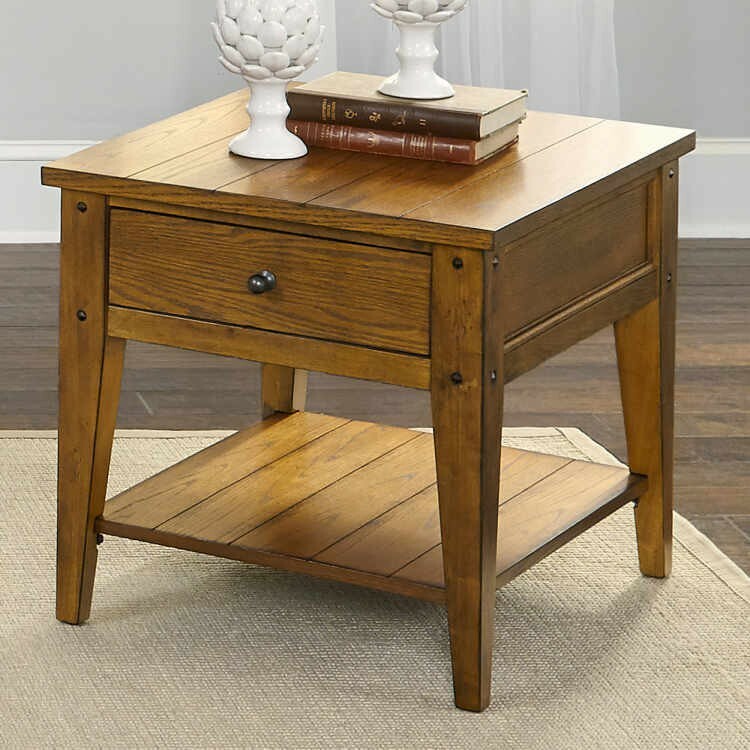 This Liberty 110-OT1020 Lake House End Table from Carolina Furniture has a traditional look that is a perfect complement to any room decor. 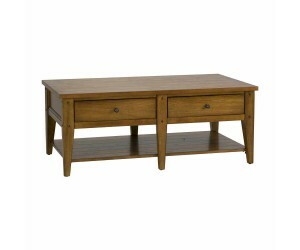 These occasional tables are constructed of hardwood solids and oak veneers with a warm oak finish. The Lake House tables have planked tops, tapered legs, antique brass hardware, drawer storage for your remote, book, magazine, or just a pen and paper to have handy when you need it. A roomy bottom shelf provides additional storage. The Liberty Lake House collection has many sizes and styles to fit in that special place including cocktail table, end table, chairside table, tiered table, square lamp table and the sofa table.